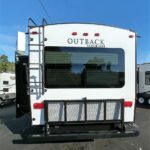 Outback RV is here! Carteret RV is proud to introduce the Outback line of RVs by Keystone. 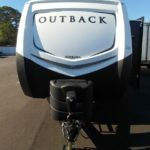 Selected as a finalist for 2017 RV of the Year! The Outback takes comfort and style to a whole new level. Vaulted ceilings and upgraded furniture provide a roominess and sophistication unseen in other light weight trailers. The combination of solid ash interior doors with walnut and hazelnut cabinetry delivers the styling that campers have come to expect from Outback. See for yourself how the Outback can make camping better than it has ever been. 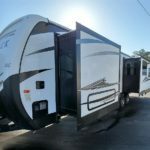 Carteret RV, a North Carolina RV Dealership on the Crystal Coast features Park Model Homes by Canterbury, Forest River and Woodland Park Homes, Wildwood by Forest River, Outback by Keystone and Sabre Fifth Wheels. Special order or select from our current inventory. 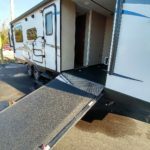 We have new and used travel trailer, fifth wheels, park models and destination trailers. Our Parts store at the dealership has everything you need to keep your RV in top shop year round. We also offer consignment and trade-in opportunities. 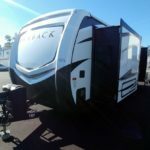 If you have been trying to sell your travel trailer, park model, fifth-wheel, motor home or any type of recreational vehicle, we can help! Visit our sales office, call or Contact Us to get started. 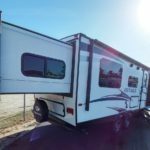 Our goal is to be the trusted destination for all of your RV purchase and service needs while ensuring a smooth and enjoyable road in the process. Stop by and visit Carteret RV today!